*APRIL FOOL’S! * Thanks for playing along with us. At Cactus, we’re always innovating. And deliciously so. Hence our new fresh Kelp Bellini. Harvested straight from the organic shores of English Bay, this all-natural beverage is the collaborative brainchild of our resident mixologist and PADI-certified underwater expert. The result is a Bellini that starts off pleasantly raw – like an unexpected gulp of saltwater – then awakens your palate with its unique algae-esque texture, before tickling down your throat goldfish-like, towards a long, lingering non-fishy finish. Our new Kelp Bellini is swimming in nutrients, essential vitamins, minerals, antioxidants – and makes for the ideal beverage after a hot yoga session, a rainy mountainous hike, or a trimmy trim from the neighbourhood barber. It pairs wonderfully with oysters, mussels, sushi and let’s be honest, the chips portion from your fish and chips order. 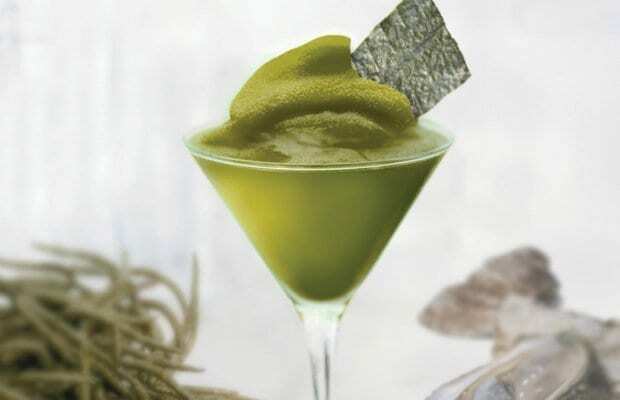 A word to the wise: although highly nutritious and delicious, our Kelp Bellini is also highly potent. Please sip responsibly or you’ll be, well, deep-sixed long before the tide comes in.